Rongoā is the word for remedies that are created from natural plants and trees. 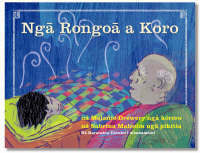 This page links to library resources about te Rongoā Māori. According to Māori, illness occurs when there is an imbalance between physical, emotional, mental and spiritual wellbeing. 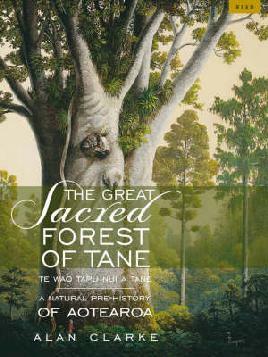 Rongoā, or healing, is inseparable from Te Wao Nui a Tāne, the forests of Tāne, the environment and te taha wairua. It is the role of the tohunga (healer/scholar/priest/shaman) to address these relationships and restore balance. Tohunga take a holistic approach to dealing with illness and use plant medicines and ritual including karakia for healing. They engender faith in their patients which is also an important part of traditional healing methods. Tohunga were responsible for the timing of the harvest of plants – according to the Māori calendar which starts at Matariki (June) and ends in May the following year. There are only certain times during the year that plants are able to be harvested and used for healing. Rongoā rākau refers more specifically to the actual plant properties – be it berries, leaves, bark or roots – and as such, is only a portion of the healing process. 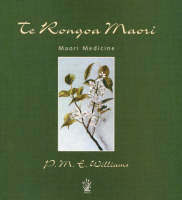 In his book Māori Healing and Herbal Murdoch Riley states that at the time of European contact Māori were a fit and healthy race with few diseases. Tohunga had medicines and ritual (karakia) for all types of sickness from chilblains and earache to warts and worms. Urbanisation, deforestation and cultural degradation have made it harder for those with rongoā knowledge to pass this on. Rongoā is best learned from another person but for those wanting to develop knowledge about rongoā, there is a remarkably rich selection of written material available to get started. Maurice Manawatu in Kaikōura makes traditional medicines. In this video produced by Te Rūnanga o Ngāi Tahu he takes school groups through the forests and shows them how to make traditional medicines, (including kawakawa balm and tea) with the plants they gather. Remedies often targeted common ailments such as toothache, intestinal problems and skin conditions such as boils, along with cuts, fractures and other injuries. Disease as we understand it today was not apparent when the first colonisers arrived. There was contention among colonial observers over the use of rongoā on internal conditions. Due to the incompatibility of the rongoā healing system with the western allopathic system, this has not been substantiated. It is misleading to say one plant does a particular job as the ritual and faith associated with each situation is also a significant part of the healing process. In saying that, some broad generalisations can be made. Here are a couple of examples of some common plant remedies. Harakeke (New Zealand Phormium tenax) was an important rongoā / medicinal plant to Māori. The roots were roasted on hot stones and macerated into poultice for abscesses and ulcers. The leaves were boiled and used as blood purifier and the root juice applied to wounds as disinfectant. Pia (gum) at the base of the plant was used for treating burns and ringworm. Toothache was treated by placing a few drops of juice from the root or leaf base into the cavity of the affected tooth or inner ear. Splints for broken bones were made from the leaf base and leaf fibre or strips were used for sewing up a wound. The flower nectar provided a beverage and food sweetener. Riley notes that kawakawa (Macropiper excelsum), or the pepper tree, was a significant plant remedy. The leaves in particular were used to heal cuts and wounds, and were ingredients in steam baths. Chewing the leaves eased the pain of toothache and abdominal distress. Kawakawa was also used to help kidney and bladder ailments. According to Dr Raymond Stark in Māori Herbal Remedies (p. 37) knowledgeable campers throw some leaves on fires as the acrid smoke repels mosquitoes and sandflies. Tī kōuka (the Cabbage tree) was also used to make a range of medicinal treatments. No explanation of modern-day rongoā would be complete without mentioning Professor Mason Durie of Ngāti Kauwhata, Ngāti Raukawa and Rangitane tribes. Initially involved in mental health, Durie understands the connection between health and the environment. The Māori health system integrates personal and spiritual experience with physical health symptoms. He developed the concept of Te Whare Tapu Wha; the four health dimensions: taha tinana (physical wellbeing), taha hinengaro (mental and emotional wellbeing), taha whānau (social well-being) and taha wairua (spiritual wellbeing). Each of these four dimensions of hauora influences and supports the others. Durie demonstrates a complete understanding of social and historical precursors to the current state of Māori health and wellbeing. By integrating this with recognition of biculturalism via the Treaty and social and economic policy, he has forged a path for greater acceptance of traditional healing within current health practice finding working solutions for iwi. Our Internet Gateway listing of Māori health websites. Database providing information on traditional uses of New Zealand native plants. An article on the Royal New Zealand of Horticulture website by the late Graham Harris. Information pages on the Te Papa website. Information from Te Ara, the Encyclopaedia of New Zealand. A report for Te Kete Hauora, Ministry of Health, September 2008. This report consists of a series of hui with stakeholders and healers addressing integration of rongoā with mainstream medicine. The importance of legitimising rongoā, finding ways that fit with kaitiakitanga or sustainability along with the rongoā rebuild are highlighted as key issues for future redress.